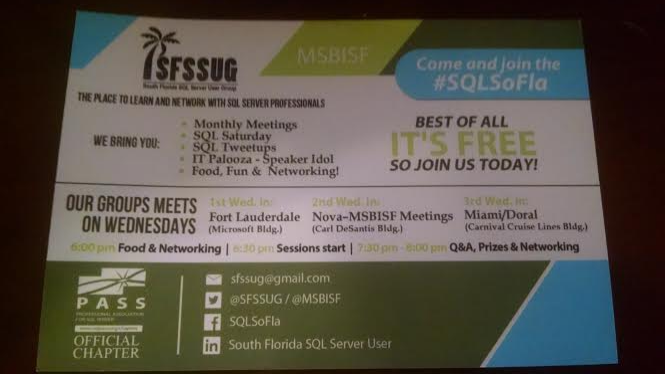 I brought this back with me from SQLSaturday South Florida. It’s postcard sized and laminated, and information dense in a good way. It feels like something that would be kept far more than a paper flyer or a business card. Might be interesting to make it magnetic to get it on the fridge at work or home.